Trade and trading routes have developed and existed for many thousands of years all over the world. In the period when Europe and Asia had the Silk Road and Spice Trade, Australian Aborigines were also using trade routes along overland pathways. These trading routes connected Aboriginal groups throughout the entire landscape of the country including the Torres Straits. Routes intersected and criss-crossed at significant sites such as waterholes and rivers, where a particular material, such as red ochre was found in abundance, and at places created by the spirit ancestors. Whilst there were caravans of camels and horses loaded with silks and spices and maps to guide the traders in Europe and Asia, the Aboriginal people developed a thriving bartering and exchange system by using their sacred pathways and songlines to guide them in their trade exchanges. For the Aboriginal people, trade wasn’t just associated with physical objects but included songs, dances and art, stories, rituals and ceremonies. These connected the people to the land and sky and animals. Trade exchanges happened either with just one person or with large groups at market places and trading centres. A flourishing economy existed through the people trading their commodities for items they didn’t have. 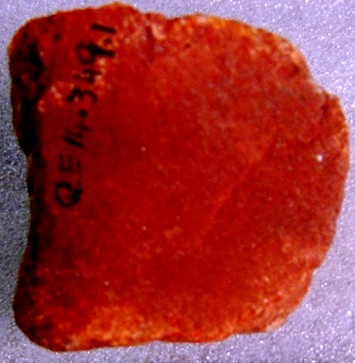 Mining for much sought after items as red ochre occurred around north western South Australia. 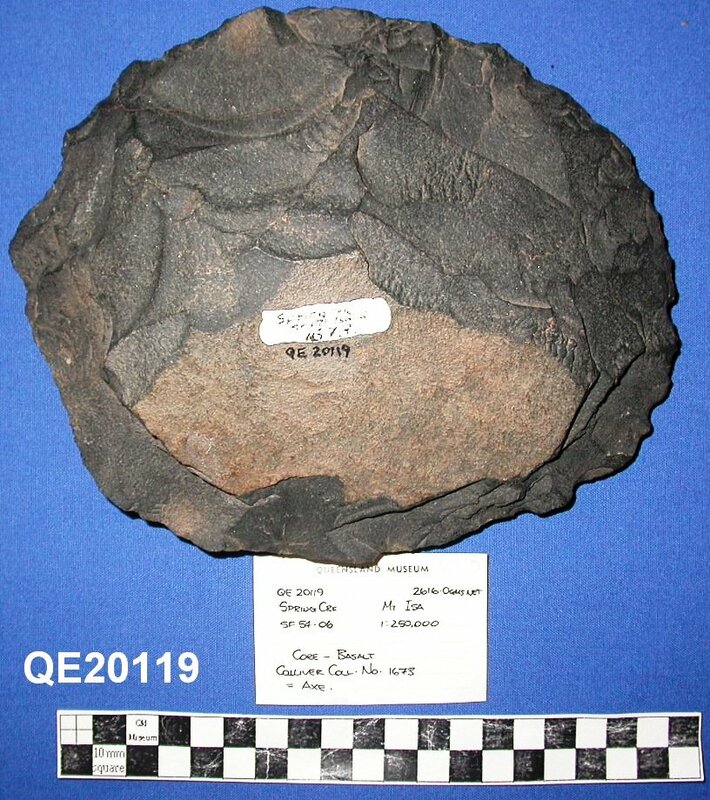 Greenstone was needed to create stone axes and this was obtained from Mount Isa and Cloncurry district and then transported and exchanged along the trade routes. 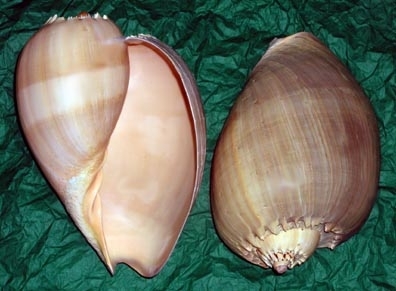 Research and artefact evidence suggests that the Baler shells Melo amphora or northern baler shell, from the East Coast of Australia was exchanged at trading centres, such as Lake Nash and Camooweal for ironwood spears, wooden shields, ochres, fish hooks, Spinifex gum resin, stone axes or boomerangs. Just as marketplaces and trading centres were central points for the European and Asian civilizations these too were pivotal to the Aboriginal people. The sight, sounds, smells, tastes and colours of a bustling marketplace was just as vibrant in the Australian landscape during ancient times. 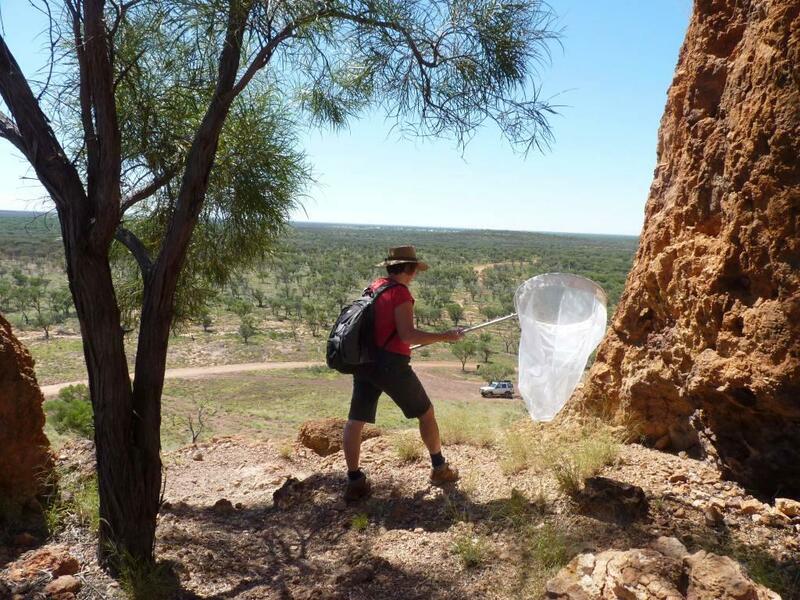 Queensland Museum scientists will conduct free workshops this week in Atherton, Innisfail, and Cairns dedicated to assessing local biodiversity and the effect of human impact using data from insect trapping. These workshops will be funded with assistance from Landcare through Fiona George (Regional Landcare Facilitator, Terrain Natural Resource Management, Innisfail). The Queensland Museum Backyard Explorer North Queensland May 2012 workshops will include a free full day workshop held at the CSIRO Ecosystem Sciences, Atherton facilities on Thursday 17th. During this workshop we will be completing a study with Yungaburra Landcare and other interested community members at the Lower Peterson Creek re-vegetation site. Participants from teachers to local naturalists, council representatives, Landcare members and staff, and interested community members will attend a program that encourages the region to become more involved in science. Backyard Explorer shows community groups how to complete a survey of their property, work site, even backyard, incorporating scientific examination of habitat, vegetation and wildlife using the techniques museum scientists use in research including identifying any insect finds and interpreting the bio-health of the area. Landcare have also funded an after school session for teachers, Landcare members and staff, and other interested community at the training room at the Disaster Management Centre in Innisfail on Wednesday May 16th. Additionally Landcare have organised for the Queensland Museum scientists to visit schools and provide students and teachers hands on experiences with collecting and identifying insects. The Juniors from St Rita’s school in South Johnstone doing Mini Beasts will be involved on Wednesday morning May 16th. All Year 3 classes at Bentley Park College south of Cairns will be working with the Queensland Museum scientists on Friday 18th May. Watch this space for reports on the Queensland Museum Backyard Explorer North Queensland May 2012 workshops. Further reports, photographs, and resources from Backyard Explorer community sessions held in 2011 can also be accessed from this Queensland Museum Talks Science page. Christine Lambkin is leading the BE workshops and will be joining the QMTS writers group as a guest author. She is the curator of Entomology responsible for the Queensland Museum collections of Diptera (flies), Coleoptera (beetles), Orthoptera (grasshoppers), Hemiptera (bugs), Phasmatodea (stick insects), and a number of smaller insect orders. Her main research interest is the systematics, evolution, taxonomy, and biodiversity of Diptera, specialising in combined molecular and morphological phylogenetic analyses and monographic revisions of beeflies (Bombyliidae) and stiletto flies (Therevidae). The recent opening of Mummy: Secrets of the Tomb exhibition prompted delight on the faces of QM staff and the visiting public. In addition to supervising the opening of the exhibition, British Museum expert Dr John Taylor identified a very significant old treasure. 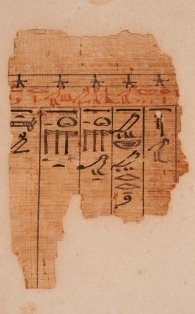 The piece of papyrus laying quietly in the display of QM artefacts has now been identified as part of an important Book of the Dead belonging to Amenhotep, a chief builder in the 15th century BC. For many adults such discoveries are pretty amazing; but for primary school learners it is hard for them to really grasp the magnitude of these and other historical items. Time has little meaning beyond last week and tomorrow, and old is someone in their forties! So how can we engage young learners in the appreciation of artefacts? Teachers could get very excited and tell their students about an amazing new discovery of a piece of papyrus written some 3500 years ago. They could explain how Books of the Dead contained magical spells and were entombed with the mummified bodies of Egyptians to ensure their safe passage from one life to the next. But this one-directional sharing of knowledge rarely produces long-term retention in Early Years children’s brain storage system. Teachers know the importance of fostering the processes of inquiry. 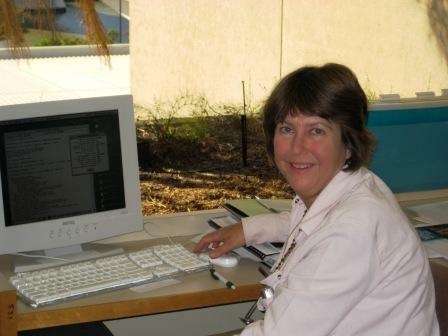 As the Australian Curriculum states, inquiry develops transferable skills, such as the ability to ask relevant questions; critically analyse and interpret sources; consider context; respect and explain different perspectives; develop and substantiate interpretations, and communicate effectively (Australian Curriculum: History accessed on 30/4/12). So what can Queensland Museum do to help? Well firstly, we have an abundance of real objects which can be explored. If you visit the museum, you can book a school program which, at a current cost of $5 per student, gives your class a 45 minute session with a museum staff member presenting in an allocated room with museum artefacts which students can handle. The current programs are on our website and can be tweaked to meet specific curriculum intent if you book early and explain what your particular focus is. There are teachers-in-residence at QM who can advise staff about the Australian Curriculum and C2C lessons which we can address – so let us know how we can make your visit really valuable. In addition, Queensland Museum loans offers a wide range of objects many of which students can actually handle and are related to many aspects of the National curriculum. (http://www.qm.qld.gov.au/Learning+Resources/QM+Loans). Of course, local museums and historical societies will also be willing to enrich your classroom learning. Unfortunately, some objects cannot be handled. Handing around the piece of the Book of the Dead or the mummified hand of a very young child pictured here is not possible. Therefore the way we engage students in interpreting these objects becomes the crucial factor as to whether the learning is of long-term value. The key to this engagement is enticing the students to co-construct the story around the object. Providing a picture of the artefact and an actual papyrus painting (cheaply purchased online) to each small group of students, with the instruction to share what you know or can deduce, begins the process of inquiry (explore before explain). Then the trick is to ask questions which look at the bigger picture and link this object to customs/ objects that the students can relate to. For example, do people today have things placed with them when they die? What book or item from today do you think people in the 30th century might want to see in a museum? Do we need to collect old things and why? Will we still be writing using an alphabet in 3000 years time? 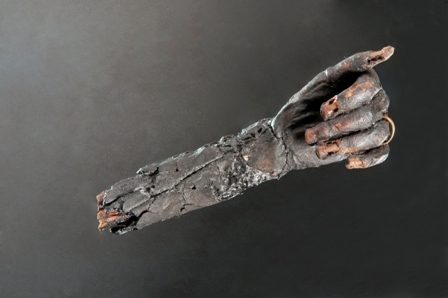 If you could be mummified, would you want to be? Do you think Amenhotep would be happy for us to have a piece of his scroll? Do you think this piece of papyrus will exist in another 3000 years? The factual knowledge about the objects emerges through the conversations but more importantly, the students are engaging in the processes of inquiry. Finally, if you come on an excursion to the museum, the students will take a new look at these old treasures and see much more than a fragment of papyrus in a glass cabinet!